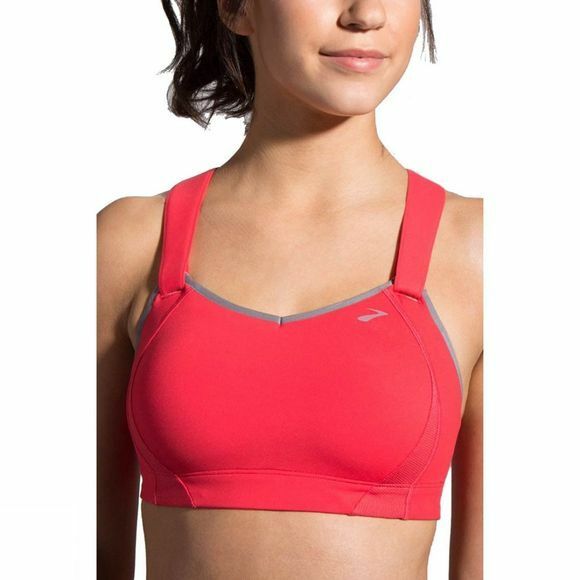 The Moving Comfort Women's Juno Bra offers a great custom fit with the best support. The front and the back have strategically placed mesh zones, giving you the comfort where it is needed, and the straps are adjustable from the front, with concealed hook and loop closure. Found in Moving Comforts bras, tops and bottoms, this strong, shaping, compressive fabric uses aerosilver technology that naturally inhibits the growth of bacterial odours, helps regulate body temperature and keeps skin dry.